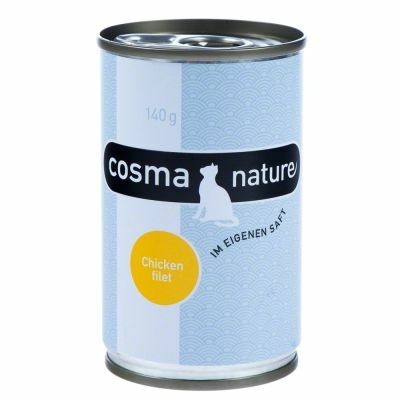 Cosma Nature 6 x 140g | Free P&P on orders £29+ at zooplus! 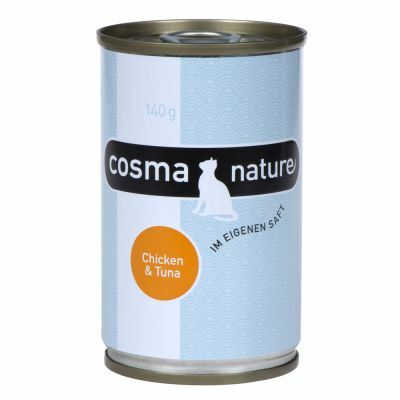 Cosma Nature premium quality cat food made from natural, fresh ingredients. With 75% meat content, gently cooked in its natural juices, with no additives. Great :"My cat id 18 and has always been sick on a regular basis. Some food are better than others but the cheap ones were the worst. 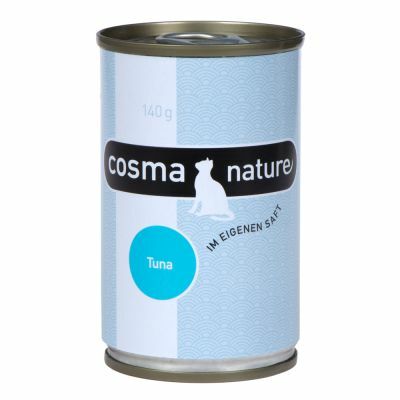 She loves this Cosma Nature and does not leave any in the bowl and only si"
Tuna: 75% tuna, 1% rice, 24% fish stock. Chicken Fillet: 75% chicken fillet, 1% rice, 24% chicken stock. Chicken Breast & Tuna: 48% chicken breast, 27.4% tuna, 1.4% rice, 23.2% fish stock. 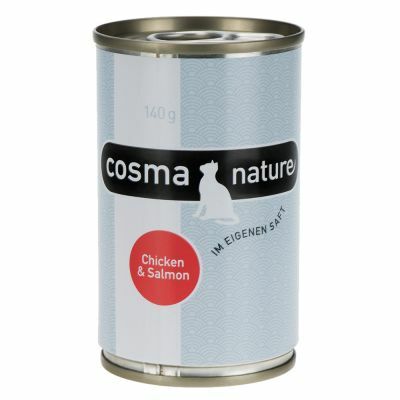 Chicken & Salmon (supplementary cat food): 37.5% chicken meat, 37.5% salmon, 1% rice, 24% fish stock. 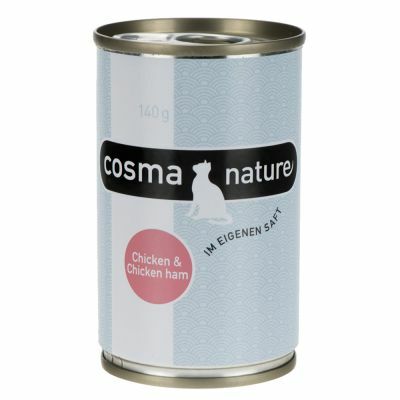 Chicken & Chicken Ham (supplementary cat food): 70% chicken meat, 5% chicken ham, 1% rice, 24% chicken stock. 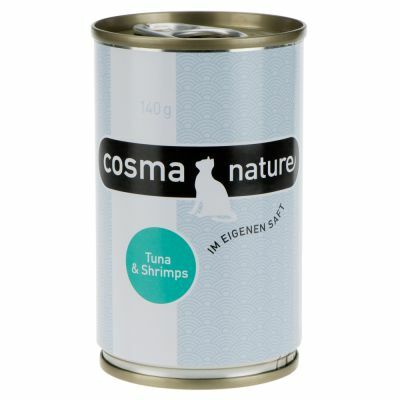 Tuna & Shrimps (supplementary cat food): 55% tuna, 20% shrimps, 1% rice, 24% fish stock. 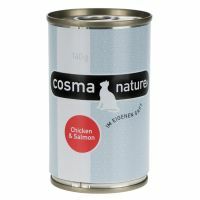 Feed each cat 1 - 1½ cans per day in at least 2 separate meals. Serve at room temperature. Always ensure plenty of fresh drinking water is available. Keep opened cans in the fridge and use within 24 hours.